At Hollywood Car Glass, we always go out of our way to make sure that all of our auto glass technicians are highly trained and certified to work on our customer’s automobiles. Unfortunately, many of our competitors are not properly licensed to handle such work in our local area. Make sure you find out how many years of experience they have working in the car glass area. We bet you will not find many of them that perform as many windshield replacement jobs as our company has done over the years or offer the same, low windshield replacement cost that we do. Therefore, it is in your best interest to always go with a company that isn’t always the cheapest. You do get what you pay for in life and when it comes to auto glass repair and replacement. There is no exception where this fact is untrue. Auto glass parts used by Hollywood Auto Glass are always OEM (manufacturer) specific, therefore guaranteeing your vehicle stays safe and its value intact. We do windshield repair and replacement for all foreign and domestic vehicles. Any car, truck, SUV, van or automobile, we have or can obtain the right windshield to take care of your needs. We are proud of our customer service and installation methods. 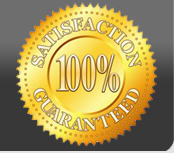 We will make your auto glass service a positive experience by committing to exceptional quality the entire time. We offer our customers free, complimentary mobile service for your convenience and will come to any location you prefer. Give us a call today or right now for a quote or an estimate on our auto glass and windshield services. We are dedicated to providing excellent windshield replacement Hollywood California to all of our customers, and we will always answer any question that you might have regarding our auto glass services.